Figure 4-23. - Vertical and horizontal overlap. Figure 4-24. - Angle's classification. 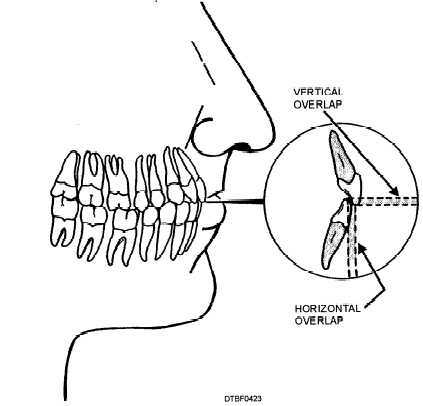 Figure 4-25.- Key to occlusion. 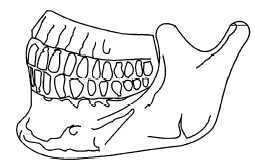 Shows relationship of mandible to maxillae. Figure 4-26. 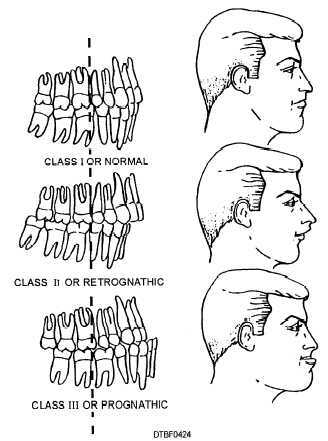 - Normal cusp relations of posterior teeth.